The location of HemisFair was announced on July 3, 1963. The 150-acre site for the proposed 1968 World’s Fair would supplant a neighborhood, known as Germantown. From the announcement of HemisFair to San Antonio's short reign at Texas' most populous city to the last chili queens to the return of Juan Seguin, the Alamo City’s history is as varied and colorful as the people who inhabit it. This is Texas Public Radio’s San Antonio Tricentennial Minute, a look back at 300 years of Alamo City culture, one day at a time, written and produced by David Martin Davies and narrated by contributor Yvette Benavides. The site for the church of San Fernando was selected when Juan Antonio Pérez de Almazán, captain of the Presidio of San Antonio, laid out a central square for the villa of San Fernando de Béxar. He followed the instructions by the Spanish government for the newly arrived Canary Islanders. The church was to be located on the west side of the square. The church was completed in 1755. The congregation chose Our Lady of Candlemas and Nuestra Señora de Guadalupe as patrons in addition to the town's official patron San Fernando or King Fernando III of Spain. The location is announced for HemisFair. The 150-acre site for the proposed 1968 World’s Fair would supplant a neighborhood, known as Germantown, at the southeast corner of downtown. It was one of the oldest settled parts of San Antonio and had once been farmland for the Alamo mission. In 1963, San Antonio leaders saw Germantown as a slum and Mayor Walter McAllister called for immediate “horseback appraisals of the land” to start to the process of condemning and acquisition. Less than five years later, HemisFair opened and transformed San Antonio. The remains of Juan Seguin return to Texas. Seguin was a hero of the Texas Revolution, a senator in the Republic and San Antonio mayor. A member of a leading ranching family in South Texas, Seguin fought for the rights of Tejanos. While mayor of San Antonio, Anglo squatters accused Seguin of being a traitor to Texas. He fled to Mexico, where he was imprisoned until he agreed to serve in the Mexican military. He died there in 1890. Eighty-six years later, his remains were buried in Seguin, the town named in his honor. The San Antonio Missions are named a U.N.World Heritage Site. The Alamo and four Spanish colonial Catholic missions join other key landmarks such as the Statue of Liberty, Yellowstone and the Grand Canyon. The designation is the first time that a Texas site is deemed of "outstanding cultural or natural importance to the common heritage of humanity" by the United Nations Educational, Scientific and Cultural Organization. The decision caps a nine-year campaign by San Antonio to have the early 18th century missions listed alongside the cultural landmarks. The chili queens are suspended. Mayor Maury Maverick closed the chili stands at the Farmers Market for 10 days for health inspections. The chili queens were famous for their fare of chili con carne, tamales, and other regional offerings. It was this street food that gave birth to Tex-Mex cuisine. But the city’s health department and the chili queens were in a constant struggle over the stands. Despite public support for the chili queens in the early 1940s, the city’s health department deemed the dishwashing methods unsanitary and closed the chili stands permanently. “Scrap to Scrap the Axis” was a slogan on the lips of San Antonians as they joined a local drive for aluminum for national defense. The attack on Pearl Harbor wouldn’t happen for another five months but it was clear that war was imminent. San Antonio police officers were taking the lead in the campaign to round up scrap metal. Twenty-six Lone Star Brewing Company drivers volunteered on their days off to collect the metal. Families were encouraged to drop off their old aluminum pots, pans and other articles in front of the Municipal Auditorium. Jack Harris is fatally gunned down. Harris was a San Antonio businessman and political leader. In 1872, Harris opened the Vaudeville Theater and Saloon at the corner of Commerce on Main Plaza. It was the most notorious place in Texas for drinking, gambling and other vices. 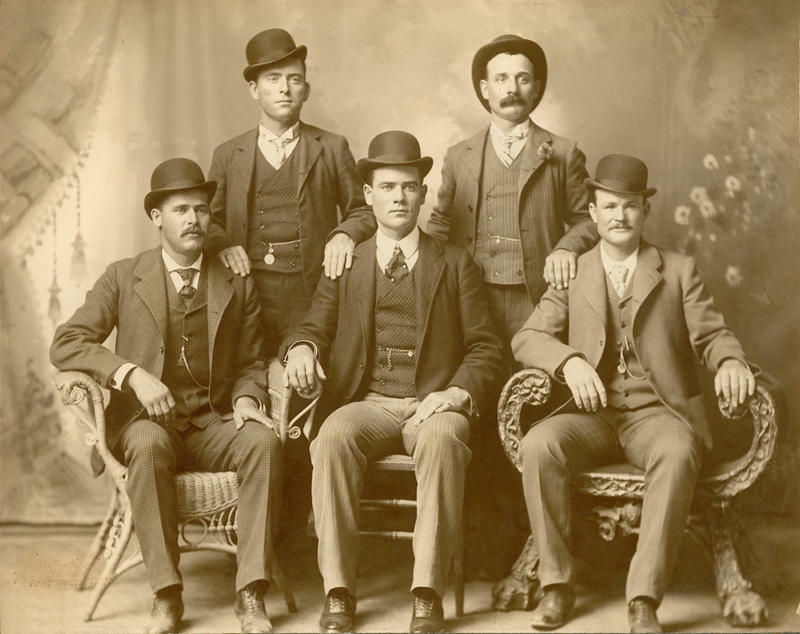 In 1880, gunslinger and Austin City Marshall Ben Thompson lost heavily at the tables and threatened revenge. July 11, 1882, Thompson returned, pulled his six-shooter and fired the fatal shots through the Vaudeville’s swinging door. 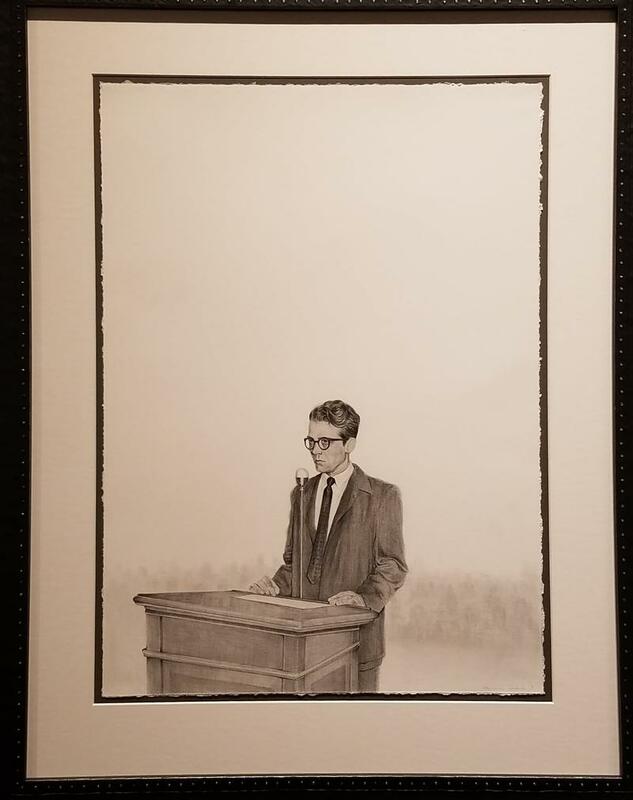 Harris's obituaries saluted "his liberality, shrewdness, and tact." “How Kelly Field Spends Your Tax Dollars” was written and published by sheet metal worker Roy Harrington. The 15-page booklet cost 25 cents each but could have cost Kelly Air Force Base much more as it detailed idleness and waste. Harrington said workers would often stand around with nothing to do for days at a time. He said he wanted the facility to be more thrifty and efficient so he sent copies to President Eisenhower and Senator Lyndon Johnson. Johnson nixed an investigation into the allegations. Kelly officials said the pamphlet was untrue, misleading and ridiculous. Pecan shellers go on strike. The Pecan Shelling Workers Union of San Antonio was formed in 1933 by Magdaleno Rodriguez. There were competing organizers of “los nuestros,” the pecan shellers. Julius Seligman, the major pecan shelling operator in San Antonio was paying Rodriguez to weaken rival shellers. Rodriguez did win some concessions for the workers. Later he was jailed for union activities and confined to a mental hospital. Four years later, Emma Tenayuca managed to unite San Antonio’s fractured labor movement and led the first successful pecan sheller strike. San Antonio is the largest city in Texas. 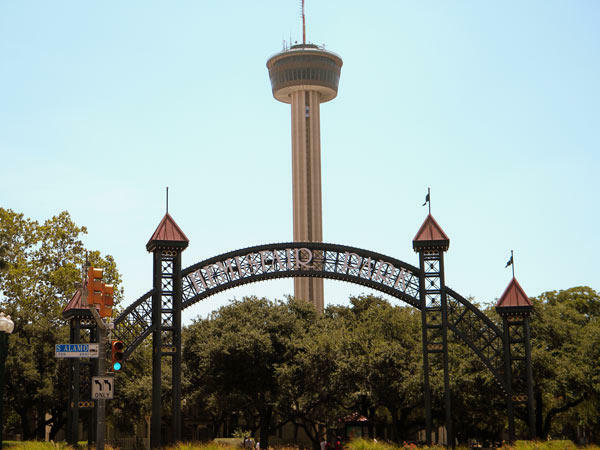 The Federal Bureau of the Census pegged San Antonio’s population at 191,398. 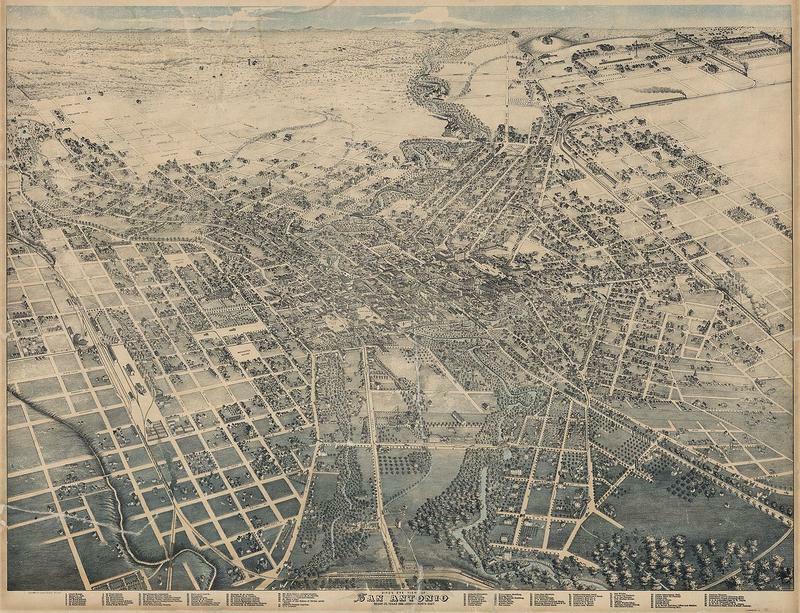 The second largest city in Texas at the time was Dallas, at just over 189,000. Mayor John W. Tobin predicted that by 1950 the city would hit 600,000. But San Antonio’s population growth stalled in the 1930’s during the depression while Dallas and Houston saw rapid growth due to the oil boom. San Antonio’s population wouldn’t hit the 600,000 mark until the 1960’s. The Great (Little) Train Robbery. The Brackenridge Eagle had just pulled out of the park’s tunnel when it was stopped by two gunmen. Many of the 75 passengers thought the hold-up was part of a show and laughed when the pistoleros demanded their valuables. But when the marauders started to get rough the passengers realized they were part of the first train robbery in Texas in the last 50 years. The thieves got away with about $500 dollars. After a manhunt, the culprits were found to be soldiers stationed at Fort Sam Houston. This is a @SanAntonio_300 #Tricentennial Minute. On this day 18 years ago was the hottest day in #AlamoCity history. Uninterrupted collection of weather data begins for San Antonio. The first official weather observation for San Antonio in the National Climatic Data Center was on Jan. 1, 1846, by the U.S. Army Medical Department at Camp Almus, near the Alamo. But that effort lasted just two months. The signal service began the current streak of weather data collection and, in 1893, the U.S. Weather Bureau took over observations. The hottest day in San Antonio records was 111 degrees on Sept. 5, 2000. The coldest day recorded was zero degrees on Jan. 31, 1949. As a Civil Rights Act is debated in Washington D.C., two burning crosses are discovered in San Antonio. San Antonio Police report the burning of a cross. It was six feet tall, wrapped in burlap and soaked in gasoline. The cross was found shortly before 10 p.m., near the corner of Hildebrand and McCullough. This was the second cross burning in a week in San Antonio. The first one was at Highway 90 and Commerce Street. The Civil Rights Act of 1957 was the first federal civil rights legislation passed since 1875. San Antonio discovers and corrects a plumbing problem that allowed the waste from the Brackenridge Zoo’s bear pit and monkey island to flow into and contaminate the city’s drinking water. The problem was discovered as the city conducted a city wide plumbing inspection while it pursued a vigorous campaign to force local homeowners to install sewage backflow preventers. The city also discovered that untreated sewage water was seeping into the municipal swimming pools. San Antonio begins the process of adding fluoride to the public water supply. 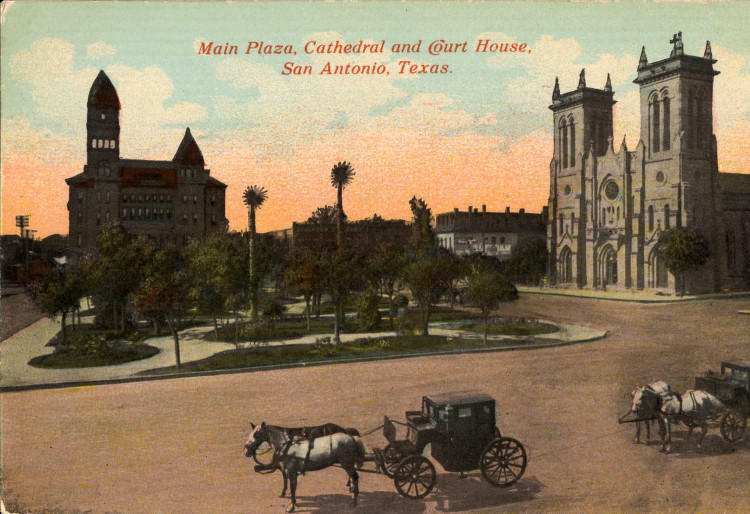 At the time San Antonio was the largest city in the U.S. without fluoride. The proposal to add the teeth strengthening mineral to the water system was put to voters in 1986 and fell short. However, on Nov. 7, 2000, the fluoride referendum passed with less than 53 percent of the vote. The U.S. Center for Disease Control lists water fluoridation as one of the great public health achievements of the 20th century. Erasmo Seguin is sworn in as alcade of San Antonio de Bexar. Seguin was the head of a prominent ranching family in Texas. After Mexico achieved independence from Spain, he was named the sole representative from Texas to the constitutional convention, where he helped to draft the Constitution of 1824. Seguín assisted Stephen F. Austin, establishing the first colony of American settlers in Texas. He later supported the Texas Revolution, providing political as well as material support. His son Juan was also a leader of the Texas Revolution. After the revolution, Erasmo Seguín was named a chief justice of Bexar County. The Works Progress Administration fires 13 employees for failure to pledge loyalty. The WPA was one the largest new deal agencies during the depression, employing 71,000 men in Texas to carry out public works. However, 13 workers refused to sign statements that said they were not Communist members, part of any Nazi bund or connected to any other subversive organization. A year earlier, all employees were removed from the rolls who were not citizens. Protests begin at the downtown offices of the San Antonio Savings Association over remarks Mayor Walter McAllister made in an NBC News report on San Antonio poverty. McAllister commented that Mexican-Americans lacked ambition and were more concerned with gardening. The comments were called derogatory and racist by La Raza Unida. McAllister said his statements were taken out of context. During the summer of 1970, the anti-McAllister protests became a fixture in local news. He defied calls for his resignation and served out his term to 1971. With its Spanish-Moorish architectural design, the campus of Thomas Jefferson High School is named a state landmark by the Texas State Historical Society. When Jeff was constructed in 1931, only two high schools existed in San Antonio – Brackenridge High on the south side, and Main Avenue in the north. SAISD purchased the 33 acres for the school in a planned housing development known as Spanish Acres. At that time, it was only accessible by horseback because there were no roads past Fredericksburg Road. In 1937, Jefferson was named the outstanding high school in America. The San Antonio Chamber of Commerce announces a weeklong celebration for the “King of the Wild Frontier.” In 1955, all things Davy Crockett were red hot, sparked by Fess Parker starring in the “The Ballad of Davy Crockett” TV programs. San Antonio wanted its piece of this first baby boomer merchandising bonanza and the city organized a massive Crockett birthday party, which included an hour-long downtown parade, a bear grinning contest and plenty of coonskin caps. From the land of the bees, to the first woman to serve as mayor of a major metropolitan city, to defining the word “Maverick,” San Antonio’s history is as varied and colorful as the people who inhabit the Alamo City. This is Texas Public Radio’s San Antonio Tricentennial Minute, a look back at 300 years of Alamo City culture, one day at a time, written and produced by David Martin Davies. From the outlaws Robert Leroy Parker and Harry Alonzo Longabaugh — better known Butch Cassidy and The Sundance Kid — to the the debut of the "Ice Man" George Gervin in a Spurs uniform, to the nuptials of a young Dwight D. Eisenhower and Mamie Doud, San Antonio’s history is as varied and colorful as the people who inhabit the Alamo City. 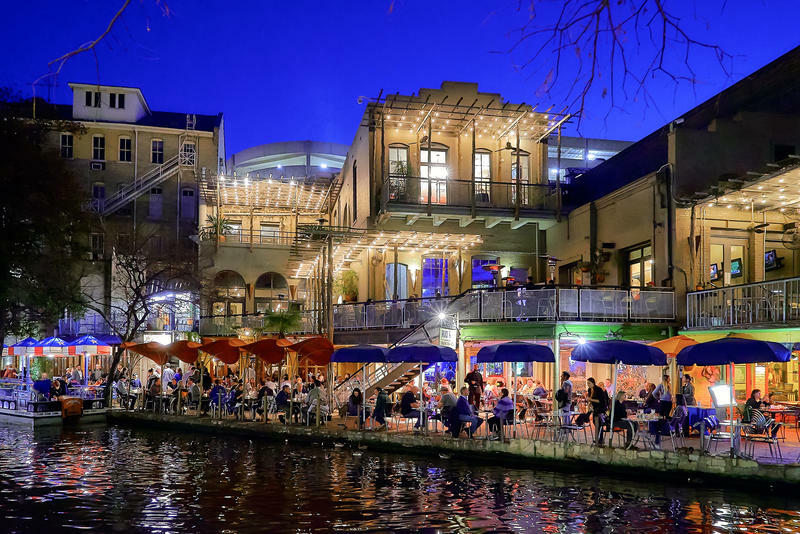 From the invasion of the Alamo City to the maiden voyage of the San Antonio-Boerne passenger train to integration of the city's lunch counters to the “Dirty Thirties,” San Antonio’s history is as varied and colorful as the people who inhabit it. From the Aguayo Expedition reaching San Antonio to the "Great Tamale Incident," to a pair of deadly tragedies at Fiesta, San Antonio’s history is as varied and colorful as the people who inhabit the Alamo City. From the opening of the San Antonio Botanical Garden to the battle of Adams Hill to the student walkout at Edgewood and Lanier high schools, San Antonio’s history is as varied and colorful as the people who inhabit the Alamo City. From the reimagination of the River Walk, to one record store owner's fight to protect the right to sell the classic rap album "As Nasty As They Want To Be," to the Spurs winning their first title, San Antonio’s history is as varied and colorful as the people who inhabit the Alamo City.